At a time when donations are hard to come by for many nonprofits, especially new ones like ours. 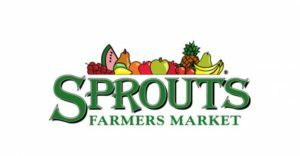 We are so humbled and filled with gratitude for the donation made to our organization this week by Sprouts Fresh Market Store #525. Your donation will be used to feed families in areas damaged by this season’s hurricanes in Texas, Georgia, Florida, and The Caribbean. Thanks so much for your support! ← Kroger Store #447 Helped Us Feed Families in Stone Mountain GA Last Week!